The fetching Mrs. B and I, hopefully back [Saturday] from a mini-vacation in Lake Charles, LA, will be blessed to got to a great Houston Symphony Orchestra concert at Jones Hall Saturday night, featuring Mozart's beautiful melodic clarinet concerto and Brahms "sublime" [description via HSO web site] German Requiem. I love all of the instruments of a symphony orchestra with my favorite instrument being the piano. 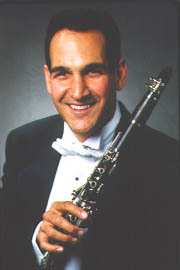 I included the clarinet equal to my favorite being the piano upon hearing the wonderful clarinet concerto by Mozart. This concerto brings out the best in the clarinet, displaying its tremendous range of register [low notes to high notes] and its soulful soothing sound that can display sadness and a playful happiness in the same concerto. The concerto is scored in A-Major with 3 movements: 1. Allegro, Adagio, and 3. Rondo-Allegro. So, I can't wait to see and hear our wonderful principal virtuoso clarinetist, Mark Nuccio being the soloist, with our young dynamic Maestro Andres Orozco-Estrada leading our Grammy Award winning Houston Symphony Orchestra in the Mozart concerto. As always, when Mrs. B and I attend a Houston Symphony Orchestra in downtown Houston, I like to give you a sample from the concert pieces we will be hearing. Please turn up the volume and enjoy some wonderful Mozart and Brahms.